The 10th Annual CSL Student Conference — Organizing Committee is pleased to announce the participation of the following keynote speakers. The public transit and roadway systems of large metropolitan areas transport millions of passengers in fleets of trains, buses and passenger cars to work, home, schools, entertainment and shopping. In addition, goods are moved every day on the same networks. The performance of these systems is critical for the orderly functioning of the city both in terms of human movement and the movement of goods. Currently, there isn’t a detailed monitoring system or a “dashboard” of Urban Mobility; a system that answers fine-grained questions such as: what is the crowding at a train station? how occupied are buses in the peak time on a particular route? how can the available supply of transport capacity be better used to address daily demand as well as the demand on exceptional days (such as rallies and severe weather events). In this talk, we present a big data dashboard for urban mobility, describe its capabilities for operational and planning purposes, and as a learning system. 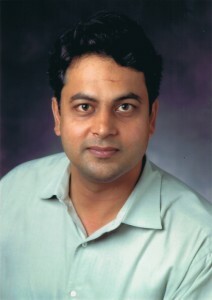 Balaji Prabhakar is a faculty member in the Departments of Electrical Engineering and Computer Science at Stanford University. His research interests are in computer networks; notably, in designing algorithms for the Internet and for Data Centers. Recently, he has been interested in Societal Networks: networks vital for society’s functioning, such as transportation, electricity and recycling systems. He has been involved in developing and deploying incentive mechanisms to move commuters to off-peak times so that congestion, fuel and pollution costs are reduced. He has been a Terman Fellow at Stanford University and a Fellow of the Alfred P. Sloan Foundation. He has received the CAREER award from the U.S. National Science Foundation, the Erlang Prize, the Rollo Davidson Prize, and delivered the Lunteren Lectures. He is the recipient of the inaugural IEEE Innovation in Societal Infrastructure Award which recognizes “significant technological achievements and contributions to the establishment, development and proliferation of innovative societal infrastructure systems. He serves on the Advisory Board of the Future Urban Mobility Initiative of the World Economic Forum. He is a co-recipient of several best paper awards. Many optimization problems that arise in science and engineering are those in which we only have a stochastic approximation to the underlying problem at hand (e.g. linear regression or other problems where our objective function is a sample average). Such problems highlight some of the challenges we face at the interface of computer science and statistics: should we use a highly accurate algorithm (with costly time and space requirements yet returns numerically precise estimates) or a crude stochastic approximation scheme like stochastic gradient descent (which is light on memory and simple to implement, yet has a poor convergence rate)? The tension arises due to the statistical issue of how much accuracy we actually desire of our algorithm. In the absence of computational constraints, the minimizer on a sample average of observed data — the empirical risk minimizer (ERM) — is widely regarded as the estimation strategy of choice due to its desirable statistical convergence properties. — The algorithm can be implemented in linear time with just a single pass of the observed data, using space linear in the size of a single sample. — The algorithm achieves the same statistical rate of convergence as the empirical risk minimizer, on every problem (even considering constant factors). — The algorithm’s performance depends on the initial error at a rate that decreases super-polynomially. Furthermore, we quantify this rate of convergence, showing that after the size of our dataset exceeds some (problem dependent) threshold, the streaming algorithm rapidly approaches the rate of ERM in expectation. 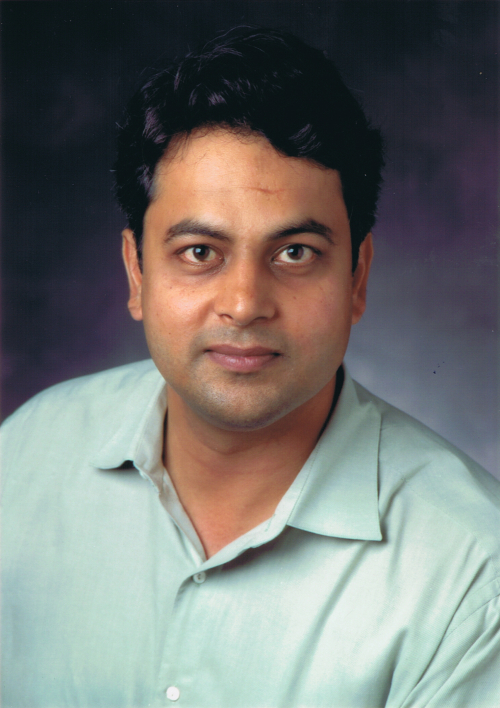 Sham Kakade is a principal research scientist at Microsoft Research, New England. His research focus is on designing scalable and efficient algorithms for machine learning and artificial intelligence; he has worked (and has continued interests) in areas such as statistics, optimization, probability theory, algorithms, economics, and neuroscience. 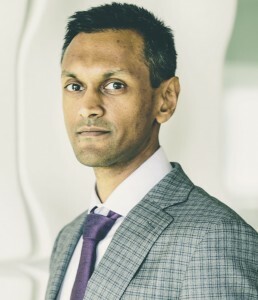 Previously, Dr. Kakade was an associate professor at the Department of Statistics, Wharton, University of Pennsylvania (from 2010-2012) and was an assistant professor at the Toyota Technological Institute at Chicago. Before this, he did a postdoc in the Computer and Information Science department at the University of Pennsylvania under the supervision of Michael Kearns. Dr. Kakade completed his PhD at the Gatsby Unit where his advisor was Peter Dayan. Dr. Kakade was an undergraduate at Caltech where he did his BS in physics. In this talk we present several results in statistical learning that are motivated by an information theoretic perspective. We consider the close connections between compression and estimation in both parametric and nonparametric settings. In high dimensional sparse regression we show how the data can be compressed without significant loss in statistical efficiency, while preserving privacy for security purposes. In the setting of nonparametric estimation, we consider constraints imposed on the storage or communication budget used by the estimator, and derive upper and lower bounds on the excess risk due to quantization. The methods and results are a mix statistical thinking and the unique perspective of source coding. 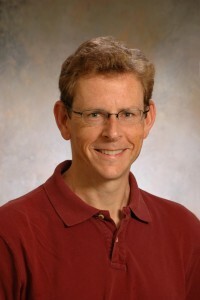 John Lafferty is the Louis Block Professor in the Departments of Statistics, Computer Science, and the College at The University of Chicago. His research area is machine learning, with a focus on computational and statistical aspects of nonparametric methods, high-dimensional data, graphical models, and text modeling. Lafferty received his doctoral degree in mathematics from Princeton University, where he was a member of the Program in Applied and Computational Mathematics. Prior to joining the University of Chicago in 2011, he was a faculty member in the Computer Science Department at Carnegie Mellon University for almost twenty years. At CMU he was also a faculty member in Statistics and the Machine Learning Departments, where he played a role in founding and directing the Machine Learning Ph.D. program. Lafferty served as progam co-chair and general co-chair of the Neural Information Processing Systems Foundation conferences in 2009 and 2010. He is currently a member of the Committee on Applied and Theoretical Statistics (CATS) of the National Research Council. Lafferty and his co-authors received 10-year best paper awards from the International Conference on Machine Learning in 2011, 2012 and 2013. A system without accurate and complete adversary definition cannot possibly be insecure. Without such definitions, (in)security cannot be measured, risks of use cannot be accurately quantified, and recovery from penetration events cannot have lasting value. Conversely, accurate and complete definitions can help deny the adversary any attack advantage over a system defender and, at least in principle, secure system operation can be achieved. In this talk, I argue that although the adversary’s attack advantage cannot be eliminated in large commodity software (i.e., for “giants”), it can be rendered ineffective for small software components with rather limited function and high-assurance layered security properties, which are isolated from giants; i.e., for “wimps.” However, isolation cannot guarantee wimps’ survival in competitive markets, since wimps trade basic system services to achieve small attack surfaces, diminish adversary capabilities, and weakened attack strategies. To survive, secure wimps must use services of, or compose with, insecure giants. This appears to be “paradoxical:” wimps can counter all adversary attacks, but only if they use adversary-vulnerable services from which they have to defend themselves. In this talk I will illustrate the design of a practical system that supports wimp composition with giants, and extend the wimp-giant metaphor to security protocols in networks of humans and computers where compelling (e.g., free) services, possibly under the control of an adversary, are offered to unsuspecting users. These protocols produce value for participants who cooperate. However, they allow malicious participants to harm honest ones and corrupt their systems by employing deception and scams. Yet these protocols have safe states whereby a participant can establish (justified) beliefs in the adversary’s (perhaps temporary) honesty. However, reasoning about such states requires techniques from other fields, such as behavioral economics, rather than traditional security and cryptography. Virgil D. Gligor received his B.Sc., M.Sc., and Ph.D. degrees from the University of California at Berkeley. He taught at the University of Maryland between 1976 and 2007, and is currently a Professor of Electrical and Computer Engineering at Carnegie Mellon University and co-Director of CyLab, the University’s laboratory for information security, privacy and dependability. Over the past forty years, his research interests ranged from access control mechanisms, penetration analysis, and denial-of-service protection to cryptographic protocols and applied cryptography. He was a consultant to Burroughs Corporation, IBM, Microsoft and SAP. Gligor was an editorial board member of several ACM and IEEE journals and the Editor in Chief of the IEEE Transactions on Dependable and Secure Computing. He received the 2006 National Information Systems Security Award jointly given by NIST and NSA, the 2011 Outstanding Innovation Award of the ACM SIG on Security Audit and Control, and the 2013 Technical Achievement Award of the IEEE Computer Society.